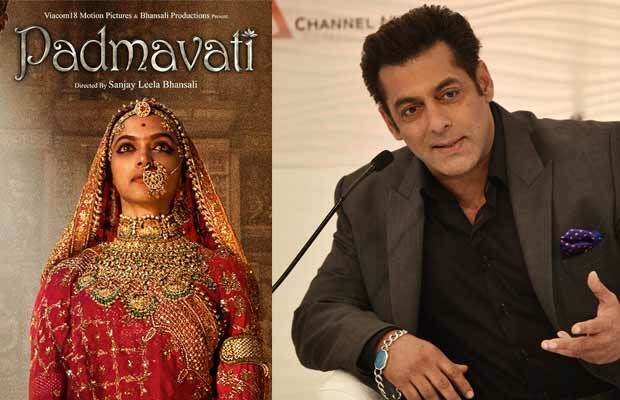 Salman Khan speaks up on Sanjay Leela Bhansali’s Padmavati controversy. Sanjay Leela Bhansali’s Padmavati starring Ranveer Singh, Shahid Kapoor and Deepika Padukone in the lead roles is facing issues since the shooting of the film started. Director Bhansali and his team of Padmavati has been facing harassment from the so-called flag bearer of Indian culture and saviours of our history. The film is facing ban in some of the states, which has not gone well among the celebrities. At the Hindustan Times Leadership Summit 2017 on Thursday, Salman Khan answered a lot of questions. He also spoke about Padmavati controversy. He joked about how Sanjay Leela Bhansali has offended him even when he gave him two big hits, he signed Shah Rukh Khan for the third. What do you think about Salman Khan’s this comment? Do let us know in the comments section below. Sanjay Leela Bhansali is co-producing Padmavati along with Viacom 18 Pictures. Deepika Padukone will be seen in the titular role of Rani Padmini, Shahid Kapoor plays the role of Maharaja Ratan Singh. Ranveer Singh plays the role of Allaudin Khilji. Padmavati was scheduled to release on December 1, however, the makers have postponed it due to the controversy. Next articleSalman Khan Has Changed His Voice, Here’s How Amitabh Bachchan Is The Reason!